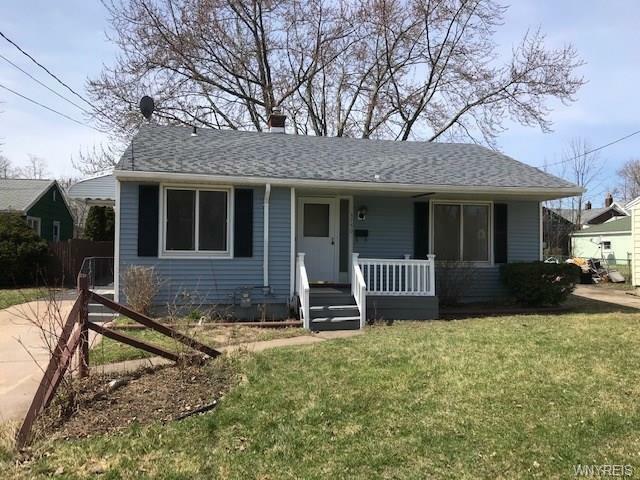 Demand Move in condition 3 Bedroom Ranch In Prime Deveaux Neighborhood. Huge Fence landscaped Yard with ample parking, shed and Large vinyl Greenhouse (Could be used as great kids playhouse). Maintenance free siding, newer style architectural shingle roof and front porch, Interior has a great layout with large Kitchen with nice eating area, lots of cabinets , newer dishwasher and a new laminate floor. Nice living room with 3 good sized bedroom and brand new wall to wall carpeting throughout. Newly remodeled bathroom, Full high dry freshly painted basement. updated mechanics . Easy to show! !